Are you crazy about pickles? Deranged about dill? Of course you are. Pickles are one of life's finer pleasures. But you know what's not so fun? Opening a jar of pickles only to find out that you have no fork. Or maybe you have a fork, but it just isn't grabbing those delicious green logs. You know what would be great? 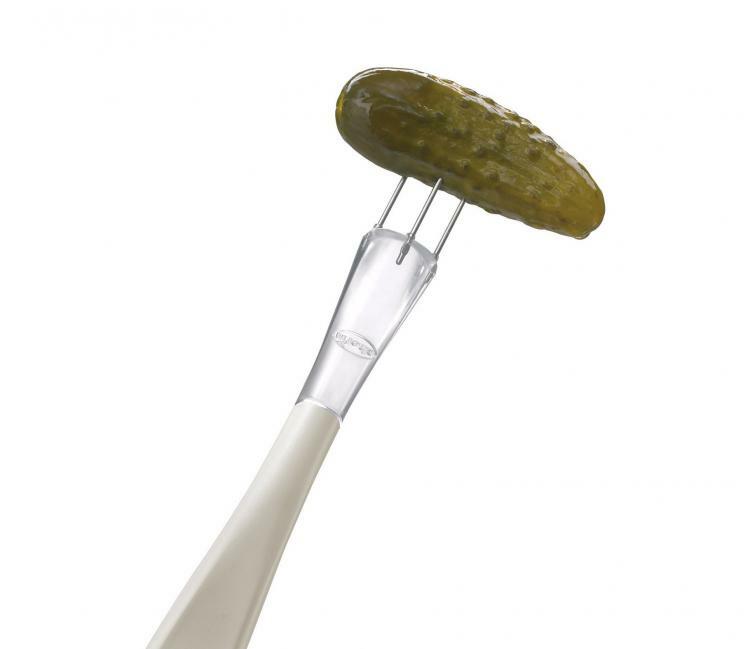 Having a fork just for your pickles. One that works every time and is attached to the actual pickle jar. 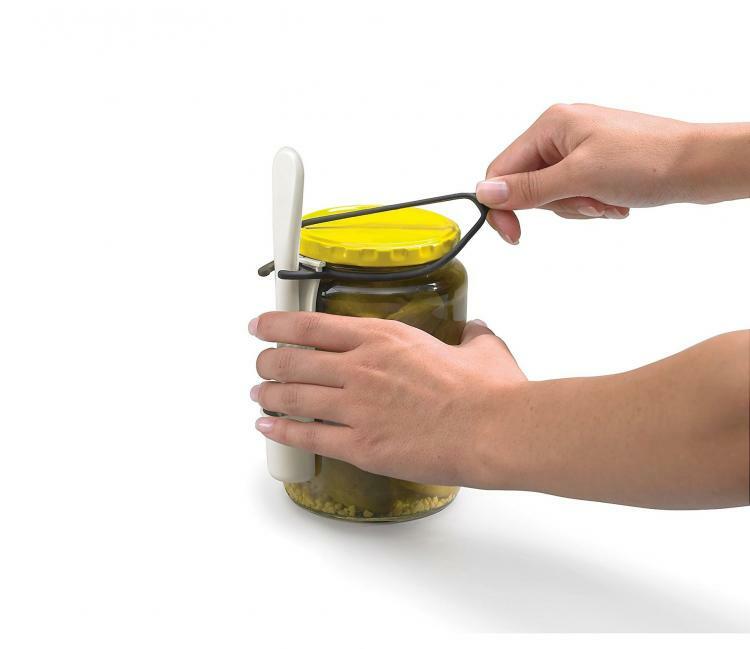 Such an invention would take all of the prep work out of grabbing your pickles. Not that it's a big deal, really. Regardless, the FridgeFork Condiment Fork is here to help. It lets you instantly retrieve pickles from the fridge with zero hassle. 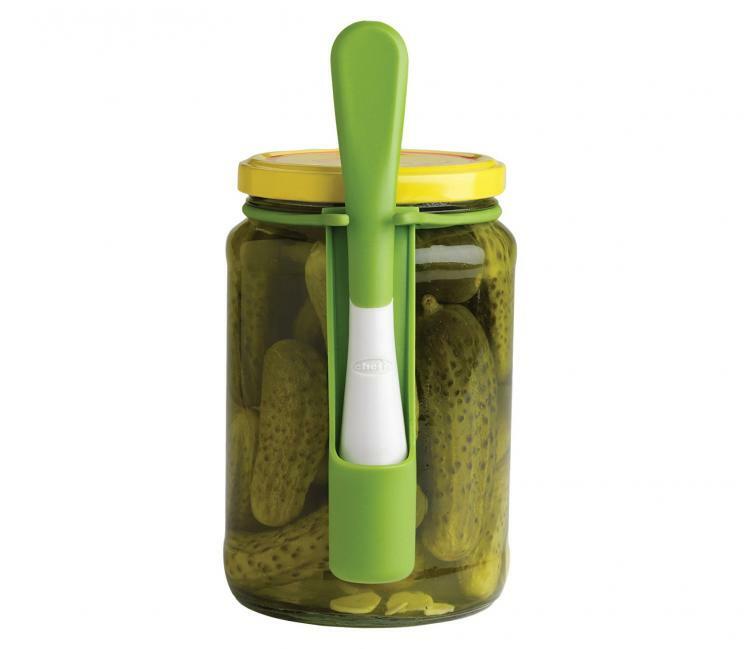 To use the FridgeFork just attach the stretchable band around the perimeter of your pickle or olive jar, then the fork sits perfectly on the side of the jar in its own little holster. 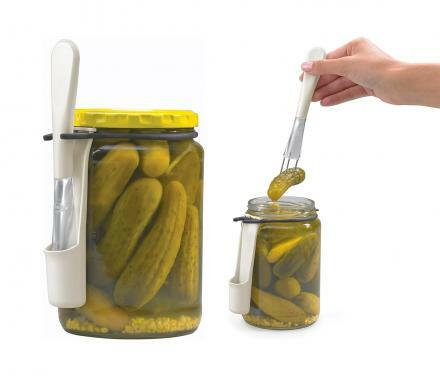 When you take the jar out of the fridge, you'll have instant access to a fork to retrieve pickles from the jar. No more dirtying extra utensils or not being able to find a fork. In other words, no more getting yourself into a pickle. 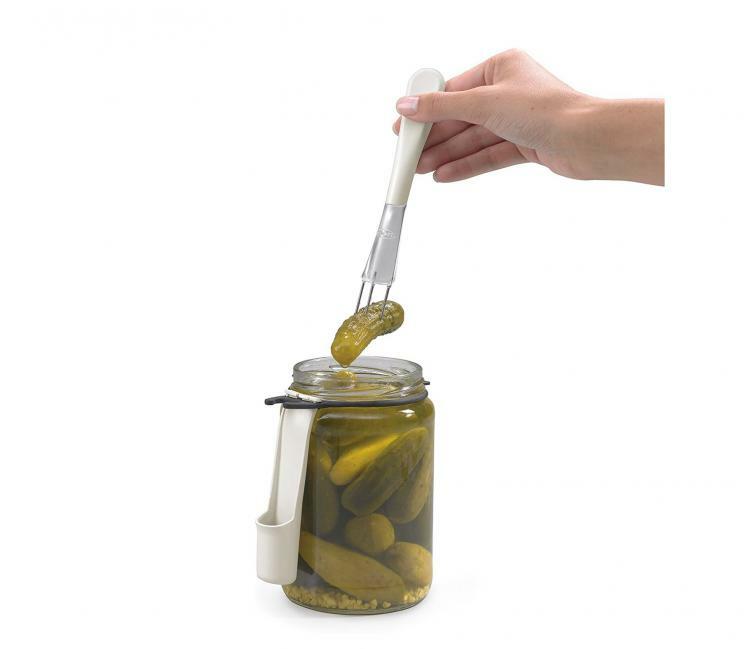 You'll get the pickles using the utensil that's already attached right to the jar. 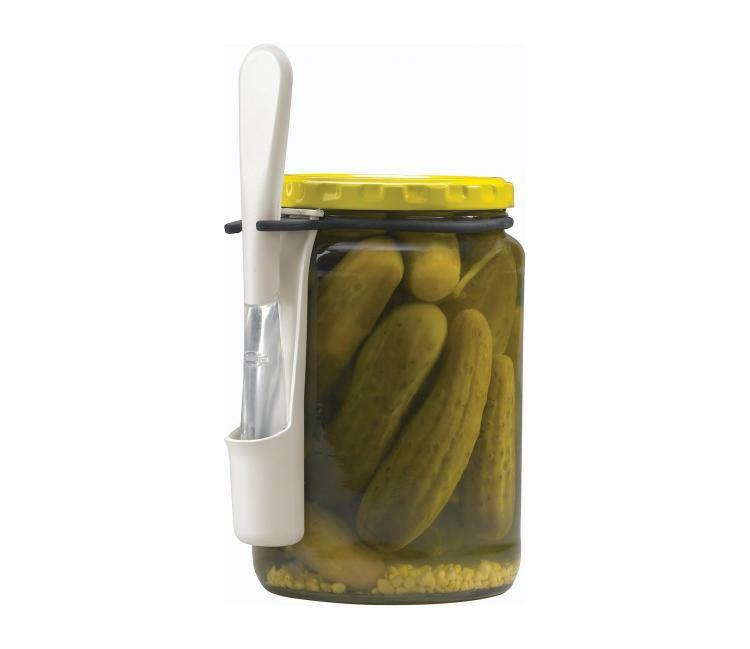 The FridgeFork attaches to any sized jar, and works perfectly for pickles or olives. The fork is made with a flexible silicone band, along with stainless steel tines, and measures 6.8 inches long. That fork holster also catches drips when it's not in use. It's dishwasher safe too so when you're done with the jar, cleanup is easy. Getting pickles has never been easier or more fun. Where the fork has this been all of my life? Check out the fridge fork that gives you instant access to pickles and olives in action via the video below.